Definition: The optical pyrometer is a non-contact type temperature measuring device. It works on the principle of matching the brightness of an object to the brightness of the filament which is placed inside the pyrometer. The optical pyrometer is used for measuring the temperature of the furnaces, molten metals, and other overheated material or liquids. It is not possible to measures the temperature of the highly heated body with the help of the contact type instrument. Hence the non-contact pyrometer is used for measuring their temperature. 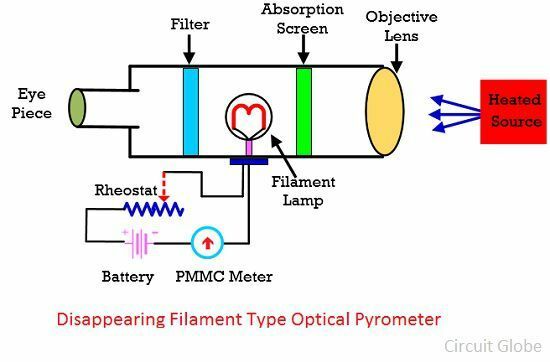 The construction of the optical pyrometer is quite simple. The pyrometer is cylindrical inside which the lens is placed on one end and the eyepiece on the other end. The lamp is kept between the eyepiece and the lens. The filter is placed in front of the eyepiece. The filter helps in getting the monochromatic light. The lamp has the filament which is connected to the battery, ammeter and the rheostat. The optical pyrometer is shown in the figure below. It consists the lens which focuses the radiated energy from the heated object and targets it on the electric filament lamp. The intensity of the filament depends on the current passes through it. Hence the adjustable current is passed through the lamp. 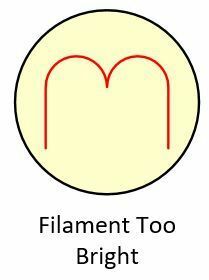 The magnitude of the current is adjusted until the brightness of the filament is similar to the brightness of the object. 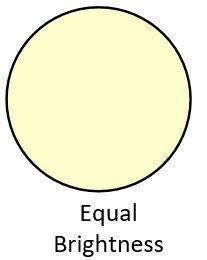 When the brightness of the filament and the brightness of the object are same, then the outline of the filament is completely disappeared. 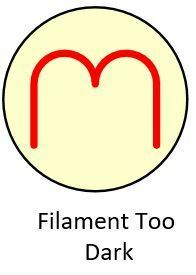 The filament looks bright when their temperature is more than the temperature of the source. The optical pyrometer has high accuracy. The temperature is measured without contacting the heated body. Because of this property, the pyrometer is used for the number of applications. The working of the pyrometer depends on the intensity of light emitted by the heated body. Thereby, the pyrometer is used for measuring the temperature having a temperature more than 700-degree Celsius. The accuracy of the pyrometer depends on the adjustment of the filament current. Also, the pyrometer is not used for measuring the temperature of clean gases.